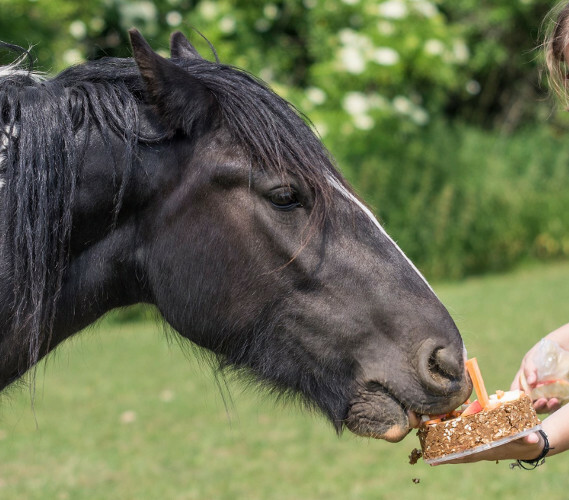 Give your horse a true gift fromt the heart! Animal Cake is a delicious cake mix. Just combine with boiling water and cool down in the fridge in the shape of your choice. 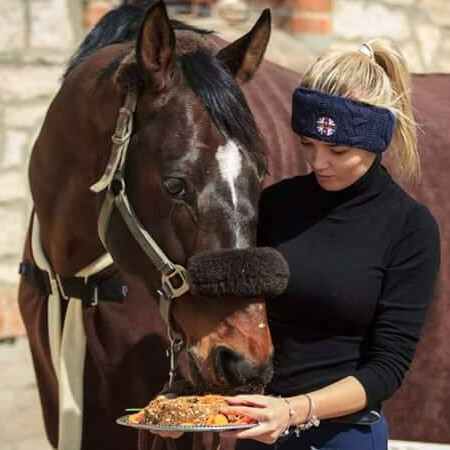 Share joyful, happy and beautiful moments with your horse! 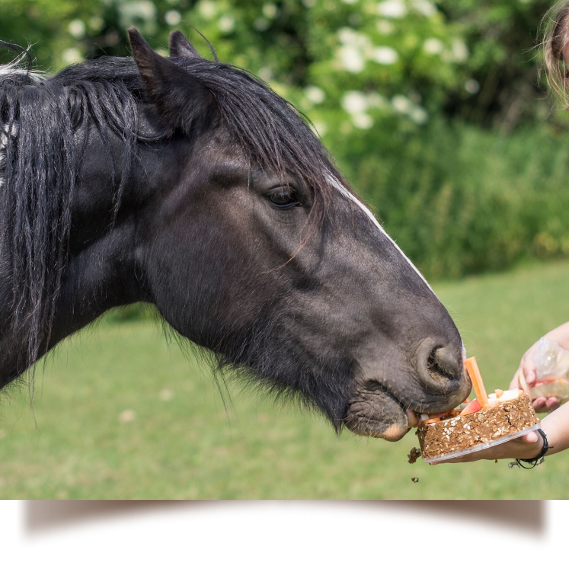 Animal Cake, a cake mix for horses, is a 100% natural treat which gives the moment of reward a whole new dimension. Combine the cake mix with 600 - 700 ml of boiling water and let it cool down to get the basic solid cake base. The box in which Animal Cake is sold can be used as a cake form but customers can also create their own shapes – a heart, a square, a horseshoe, etc. When the cake is solid and removed from form, it’s up to the customer to put the last finishing touches and give it a unique look. © 2019 Animal Cake, all rights reserved.